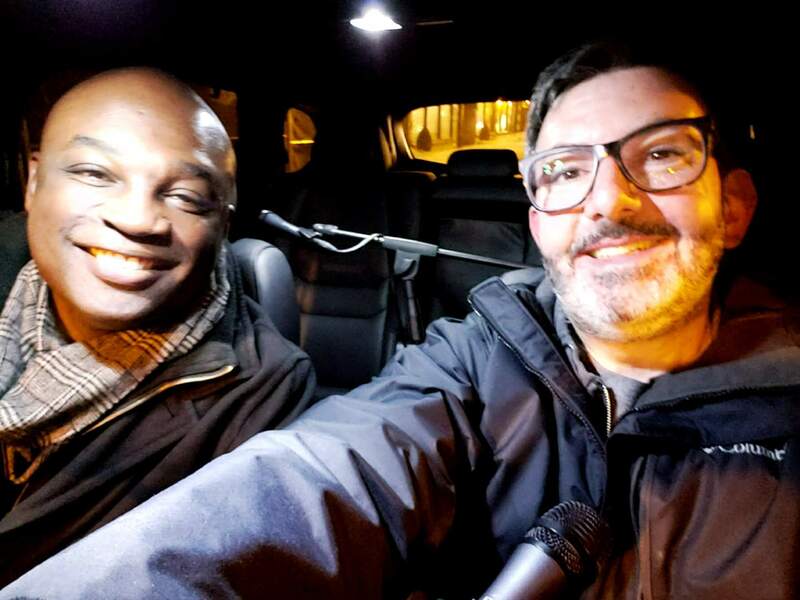 Chicago Magic Lounge Entertainment Director Ben Barnes jumps in the car to talk about the history of table magic in Chicago, his history with magic and the happenings at Chicago Magic Lounge (5050 N. Clark). For this episode, we went to nearby Hot “G” Dog (5009 N. Clark) for some of the best sausages you can get in the city. I had rabbit sausage. It put hare on my chest. Heh. The “Hot Doug’s” legacy lives on at Hot “G” Dog. They do amazing things with sausage (Crawfish dog! Alligator sausage! Duck fat fries!). Close-up magic in Chicago nightclubs… a decades-long tradition. The Chicago Magic Lounge is housed in an old commercial laundromat (“the entryway was touched as little as possible”). Magic’s influence and appeal with kids. The different shows at Chicago Magic Lounge, including the “experimental” night. Ben does close-up magic in the car… and it blows my mind! Car Con Carne is presented by The Autobarn Mazda of Evanston!